American Airlines and Iberia are showing some amazing prices from Toronto to Dublin, Ireland (DUB) - starting at $388 CAD roundtrip including taxes. Select dates between September 2015 and April 2016. UPDATE 1: June 15 @ 3:59 PM EST - This appears to have sold out. UPDATE 2 : June 16 @ 7:34 AM EST - These are back and bookable again! UPDATE 3: June 17 @ 1:18 PM EST - Looks to be expired again. You can also book directly through the Iberia website, for slightly more. The closer to September or May, the better. Look for the flights that have a 90 min connection in Philadelphia each way. 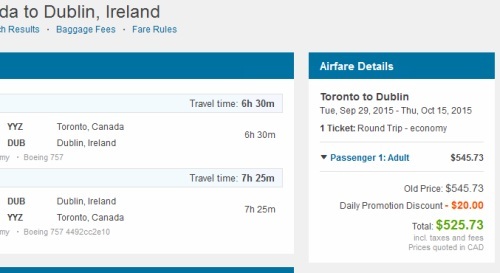 Not quite as cheap as some of the recent Toronto - Dublin deals, but still unusually low (and without stops). ^^ late September. Prices show up as $459 USD. Click through from Kayak to Expedia. You will be redirected to the Canadian version of Expedia. The price should show as $561 CAD roundtrip when you get there. 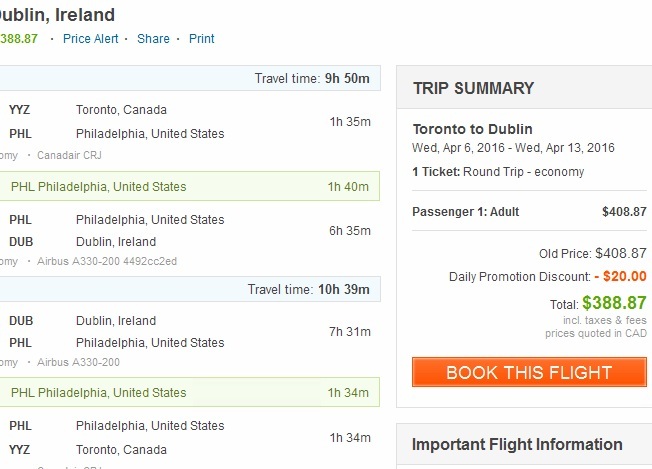 If you click through from Kayak to the Aer Lingus website, it comes up as $715 CAD. ^^ early October. Fair number of date combos available. Certain date combinations may also be bookable through FlightHub for $525 CAD roundtrip including taxes. For live discussion of this deal, or to get some amazing travel advice (about anywhere) from your 26,600 fellow passengers in Toronto, join us in the YYZ Deals Facebook Group. 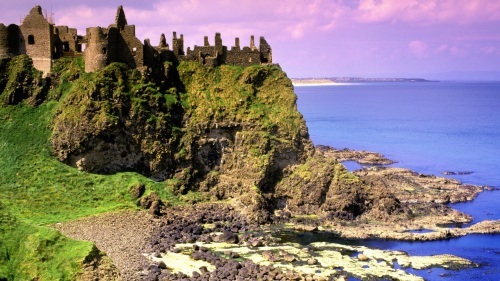 toronto, flight deals, europe, northern europe, western europe, american airlines, dublin, dub, iberia and aer lingus. 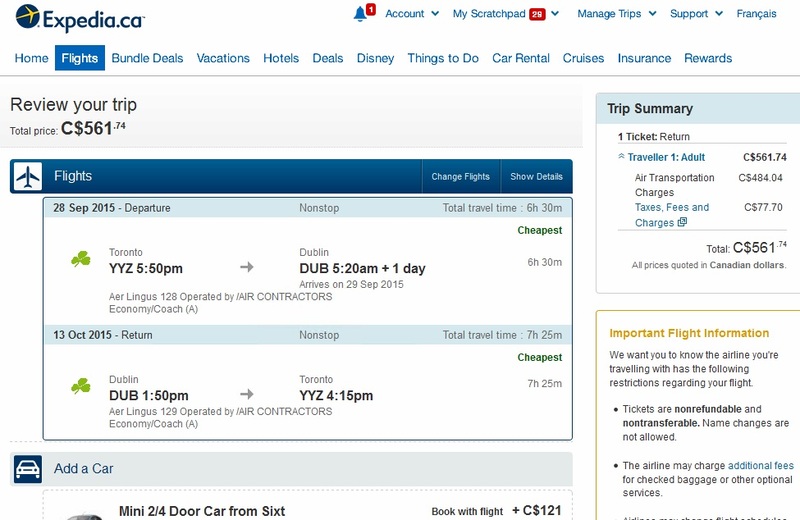 8 Responses to "Toronto to Dublin, Ireland - $388 to $449 roundtrip including taxes | Sep 2015 to Apr 2016"
I've tried multiple searches - this deal does not exist! Always tough to say whether it was a mistake or just a really popular deal that sold out quickly. Regardless, I managed to book 2 tickets in September earlier this afternoon on FlightHub. Thanks Chris! I also managed to book two tix on Flighthub before they sold out, confirmed by Iberia. Thank youuuuu! Yep, it's back this morning! Showing up on FlightHub and Priceline.